The phrase, “Build it and they will come,” may have worked in the movie Field of Dreams, but the world wide web is a different kind of playing field. Creating your website won’t lure people to your URL. You have to make your presence known and keep it active. Through a little thing called Search Engine Optimization, or SEO. Discover how natural SEO strategies and link building can help you promote your brand as an author as well as your books. SEO is a necessary practice for anyone who has a website. In order to show up on Google’s first page, your website’s content has to gain traction in Google’s algorithm. 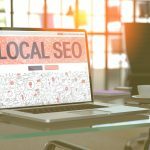 How do you create natural SEO? 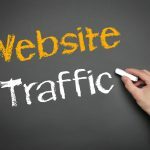 How do you create web traffic? How do you get conversions? The answer to all of these questions starts with natural SEO. Natural SEO specifically focuses on organic strategies. These strategies cost you nothing financially, but they will require you to put your writing skills to good use. As an author, words are your weapon of choice and Google has an insatiable appetite for high-quality content. First and foremost, you need to create a regular blogging strategy. We’re talking high volume content creation. You want to blog as much as possible, as often as possible. However, quality matters. Research trending keywords relevant to your product or industry, then start crafting appealing, useful content. Your keywords will be part of the search inquiries users type in to find your blog or website. Google Trends is a great, free tool to help you pinpoint keywords that are trending. Make sure the keywords you choose aren’t just luring in clicks. Make sure it’s relevant to what the user is trying to find. This is important. If people click on your link only to exit out quickly, it tells Google your content isn’t relevant. Google will then push your link down in the rankings, causing an adverse effect than what you’re looking for. If possible, blog daily. You can hire a marketing company or freelance writers to help you meet this quota. However, we understand if that’s not practical for your budget. If you’re looking strictly for free SEO tactics, stick to blogging at least once a week. This will give your site continual, fresh content for Google to crawl. Social media platforms are free stages for you to syndicate your content and interact with your target audience. Make it a point to be a part of sites like LinkedIn, Facebook, Twitter, and Instagram. Research what other successful authors are doing and find your brand’s unique strategy. Create content that your target audience will find useful and entertaining, and they will come back for more. Share your blogs on these platforms to help draw in web visitors from these high traffic websites and make it a point to respond to people who leave comments or feedback. Technical SEO reinforces your content’s message using HTML, meta descriptions, header tags, alt tags, and more. You don’t have to be a web development master to do this. In fact, popular CMS’s like WordPress have some of these features built into their visual editor or available through plugins. Yoast SEO is an especially useful tool if you’re new to writing for online search optimization. Its plugin integrates seamlessly into WordPress sites, giving you a free SEO audit for every new post you create. Through this tool, you can edit your posts and add title and meta descriptions for Google’s search engine to rank better and entice web traffic. It’s great for authors who are looking to blog often without having to undergo a crash course in SEO content. You’ll learn with each audit while ensuring you produce the best content for both your audience and Google’s algorithm. Link building is an off-site SEO strategy. Simply puts, it’s getting external blogs and articles to link back to yourself. However, while that’s easy to understand, it’s not always easy to achieve. The easiest way to acquire backlinks is through paid strategies. Like your content, quality matters. Several low-quality links can’t hold a candle to one backlink on a high-quality, high-traffic, credible website. Beyond that, bad links can even hinder your website’s ranking, incurring penalties from Google’s algorithm for suspicious backlinking practices. While this may seem time consuming or expensive, you’ll find the boost it gives your domain is worthwhile. It’s a long-term strategy that improves your brand, builds your SEO, and helps establish you and your site as a credible source on the web. As an author, it’s important to build your personal brand. Even if your ultimate goal is to sell books, you have to also sell yourself as a notable force in your genre or industry. 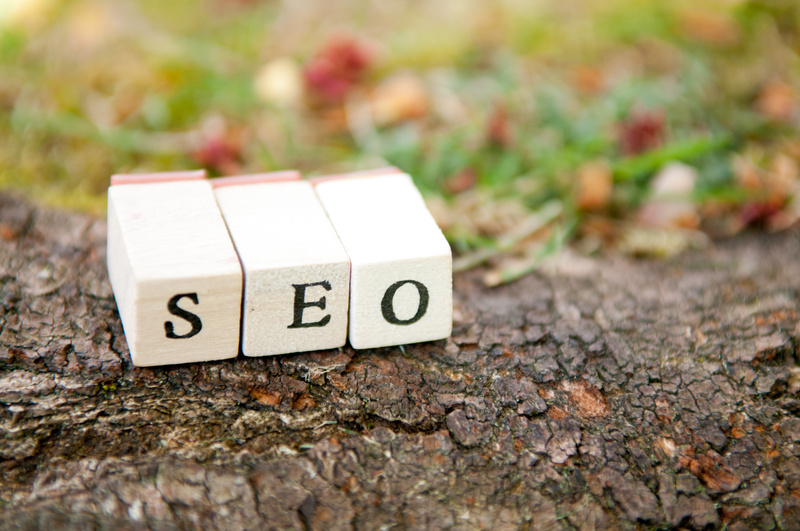 Now that you have the basics of natural SEO in your pocket, it’s time to put it to good use. Start crafting search engine optimized copy for your website and link building opportunities today. We have several free articles chock full of tips to help you get ahead of the competition. Hone your SEO copywriting talents and start drawing traffic to your website today.